The only thing stranger than the hippo idea itself was the partnership promoting it. At its center were two hard-bitten spies: Frederick Russell Burnham, a superhumanly competent frontiersman, freelance adventurer, and fervent optimist about America’s future—Burnham would be the inspiration for the Boy Scouts—and Fritz Duquesne, a.k.a. the Black Panther, a virtuoso con man and cynical saboteur who believed only in his own glorification and revenge. Burnham and Duquesne had very recently been sworn enemies under orders to assassinate each other. They’d soon be enemies again. But for one brief and shining moment they joined behind a common cause: transforming America into a nation of hippopotamus ranchers. 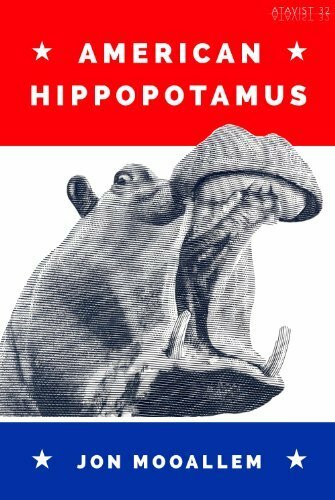 American Hippopotamus is such a unique and weird history story that it made me love it and read it in one day. Of course, it is not that big of a book and one can only buy it on kindle. I loved it so much though. I learned a so many little facts about lots of different people and Americans during the early 1900s. If you love weird history facts, or if your trying to branch out and read more nonfiction, I recommend this book to try because I loved it so much.